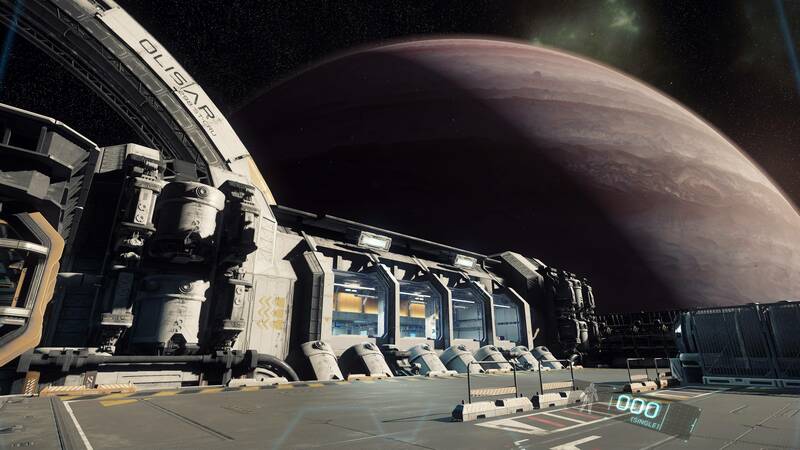 Star Citizen Alpha 2.0 is out, if you haven’t heard because you live under a rock. I’ve spent a lot of time playing it and I must say Star Citizen manages to create an action-packed and immersive space sim experience. I was hooked from the moment I exited the airlock and set foot on Port Olisar’s landing pad to see my Hornet sitting on the pad over the backdrop of one of the most breath-taking space scenes I have ever seen in a video game. The atmosphere (or lack of breathable atmosphere) and feeling of Star Citizen is a dream come true for a lot of gamers. It’s that game that we all wanted deep down inside over all these years. The game that let’s you have a second life experience in a futuristic setting where mankind has made their place among the stars and enables you to partake in whatever it is you would like to partake in. First and foremost – the game, even in its alpha state, is amazing. The meticulous attention to detail for game design is very apparent. Nothing in the game seems thrown together. Furthermore, everything has a sense of forward thinking applied to it. The gameplay, granted it’s alpha, has been both action-packed an immersive. Some have questioned the combination. The game itself is immersive in its presentation and function. From running to your ship to launch and landing to EVA and even walking around a station feels immersive. The feeling of being alone when out in the depths of space solo is unparalleled. I say action-packed because the action is easily attainable. The game doesn’t make you jump through hoops to find something interesting to do. Fun can be had within a minute of entering the game world. The best part is that everything is seamless. My first experience playing the Universe had me on the edge of my seat and nose to the screen. I joined up with a friend who had a Constellation. We flew to a station in an attempt to find some first person shooting action. Upon arrival we watched a Retaliator land and its two occupants exist the spacecraft and begin moving towards the station. We opened fire on them. I smoked one of them from the turret in the Constellation. It was like shooting ants. So entertaining. Upon attempting to land on the pad, we started taking fire from another ship. I dismounted the turret and ran towards the cargo bay towards the back of the ship. It was at that point the ship that I was in began to break apart around me. I was suddenly floating in space surrounded by the fiery debris of the ship I was onboard the previous moment. I used the debris to conceal myself as I carefully maneuvered through space to the station. My friend managed to escape, too, and we quickly linked up and entered the station to raid the weapons closet and grab up some assault rifles – a come up from the pistols that every player spawns with. From this point we exited the station. Another Retaliator had just jumped in and appeared to be floating around trying to find a spot to land or maybe for targets walking around. We both went out on EVA – that is floating in space – using thrusters in our suits to slowly move around. My friend was able to get onboard the Retaliator. The pilot heard him, or maybe saw in third person view, and dismounted the pilot seat. At that point, the Retaliator was still floating in space – now without anyone controlling it. A brief firefight ensued and the pilot was killed quickly by our superior assault rifles. All of that happened in just a few minutes. My friend pulled up a Cutlass Black and we quickly launched and went into space. Shortly before jumping to Quantum Travel, I noticed that we had a stowaway. I opened the rear cargo hatch and the ship jumped into Quantum Travel. Mid flight the stowaway started shooting at me. I fired back and hit him – he missed. In a panic he backpedalled and accidentally fell out of the ship through the rear cargo ramp while we were in quantum travel. His remains have yet to be found. There have been confirmed reports of players doing things like shipping items. Except that functionality hasn’t been built into the game yet. The game mechanics are so open that some players have been creative and determined enough to move items from the station which doesn’t have artificial gravity onboard their ship and return the items to Port Olisar. In one case, a player pushed a floating soda vending machine out of the defunct station and onboard his ship. Then flew from the defunct station to Port Olisar. Once at Port Olisar, he pushed the soda machine to the ship selection terminal. He effectively shipped cargo from Point A to Point B when that functionality hasn’t been added to the game… yet.